Shweta Sharma a.k.a Betty (b.1988, IND) is a fashion editor and costumier based in Mumbai. She holds a bachelors degree in Fashion Communication from National Institute of Fashion Technology, Mumbai. She has styled for various television networks like TLC, MTV and Discovery Networks and designed costumes and characters for movies and ad films. 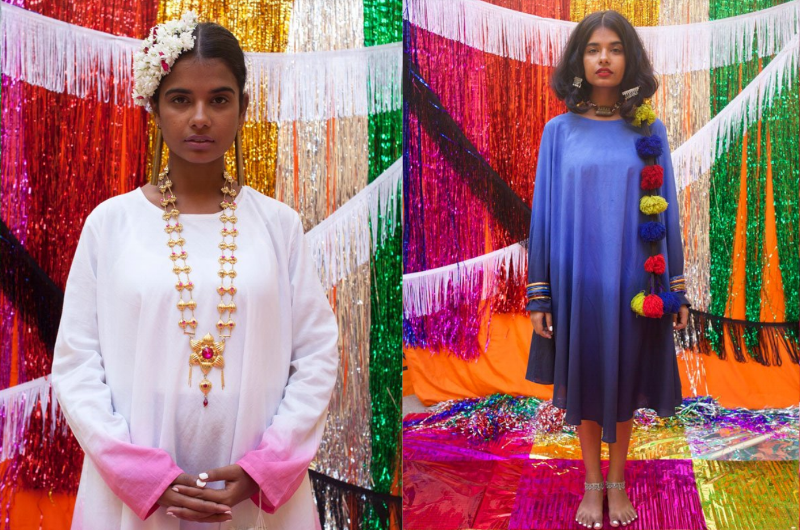 Using styling and costume design as a way of story-telling and cultural gate-keeping, she has collaborated with publications including; Vogue India, Femina and Harper’s Bazaar on fashion features and editorials. She has been working on a sartorial and spatial documentation series - meeting women through Instagram and travelling to Liguria, Berlin, New York, Oakland, and London. In 2017, after doing a Contemporary Fine Arts Intensive course at Central Saint Martins London, she developed a photographic series with a women’s Cricket ball as a starting point. She teaches Advanced Fashion Styling to undergraduate students of Fashion Communication at NIFT (National Institute of Fashion Technology, India).